This is an excellent book covering the period of the development of the Book of Concord. I believe it correctly puts the emphasis on the Augsburg Confession, and as the Lutheran Confession develops, the Author continues to show how the figures involved related back to that original Confession.I enjoy the Author's style and found this book an easy and interesting read. I think he gives good explanation to the various "sides" without being judgemental but trying to highlight strengths and weakness.A good read for those interested in the birth of the Reformation as well as the birth of the Lutheran Church. 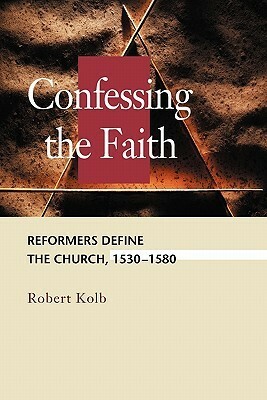 Robert Kolb - Robert Kolb (PhD, University of Wisconsin) is Mission Professor of Systematic Theology emeritus at Concordia Seminary in St. Louis, Missouri. He is the author of numerous books including The Genius of Luther’s Theology and is coeditor of The Book of Concord (2000 translation).